The Dominican Republic is well known for its beautiful beaches, its friendly people, the delicious rum and it’s year-round t-shirt weather. But this island in the Caribbean Sea won’t give away all its secrets so easily. Hidden in the countryside, there is a variety of breathtaking and unique waterfalls ready to be discovered. We at Dominican Expert put together the 5 most remarkable “Saltos” as Dominicans say, in case you get tired of the 27° warm ocean water and you are looking for a cool experience! 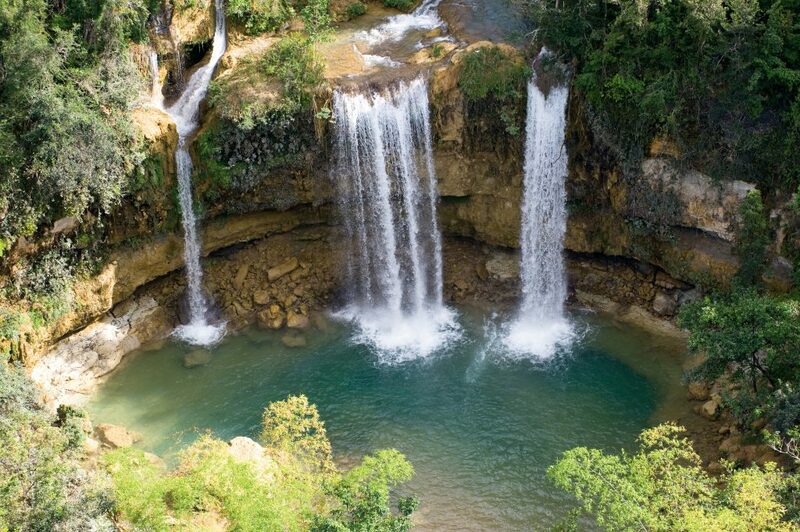 Our collection includes two well-known waterfalls and three true hidden gems, which hardly any tourist in the Dominican Republic know about. The Salto El Limon is definitely the beauty queen among waterfalls, and after looking at the pictures you will understand exactly why! It is not the highest waterfall with its 50 meters, but the beauty of the untouched nature surrounding it gives you the illusion of being hours away from civilization. El Salto del Limon is located on the Samaná peninsula and is best reached by car or an organized excursion from nearby Las Terrenas. How to get there: There are several places to stop between Las Terrenas and Santa Barbara de Samaná. You can leave the car at one of the many local roadside restaurants, such as El Pino or parada Franklin. From there it takes about 40 minutes of walking or about 30 minutes on horseback. The beauty of the Salto Socoa is beyond imagination and this small waterfall, surrounded by pristine nature, will exceed your expectations. The landscape is dotted with many small natural pools, which makes it easy for you to find your favorite spot to relax with the sound of the splashing water. There is even a camp site with the opportunity to spend the night on a hillside, drifting off to sleep to the sound of the waterfall. Awesome! How to get there: The Salto Socoa is located on the highway heading from Santo Domingo to Samaná. After passing the second toll station, you will find a sign telling you to take the next exit to the right. From here just follow the road for a few minutes until reaching the small parking lot. With 120 meters, the Salto la Jalda is considered the goliath of waterfalls in the Dominican Republic and indeed, the whole Caribbean! Ironically, you rarely see any tourist there and it’s even unknown to many locals. The tour will take you about 4.5 hours by foot or 2.5 hours on horseback. For those in hurry, there is also the possibility to land right in front of the waterfall with a helicopter. We personally recommend the hiking experience, but if you are short on time and you always wanted to try out a helicopter, pack your bathing suit, buckle your seatbelt and enjoy! How to get there: From Santo Domingo or Punta Cana, you will head towards Sabana de la Mar, where you will take another road to Magua. There you will see a sign directing you to Loma de Magua, which is part of the national park. We recommend a local guide for an easier experience as the waterfall is very remote and the hiking trail occasionally difficult to follow. This one is special! Generally, waterfalls get more intense throughout the rainy season. During this time, the Salto Alto de Bayaguana has 3 streams that fall smoothly into a beautiful natural pool surrounded by lush vegetation. The whole scenery will make you question reality! This waterfall is the closest to the capital of the Dominican Republic and is therefore perfectly suitable for day trips from Santo Domingo. 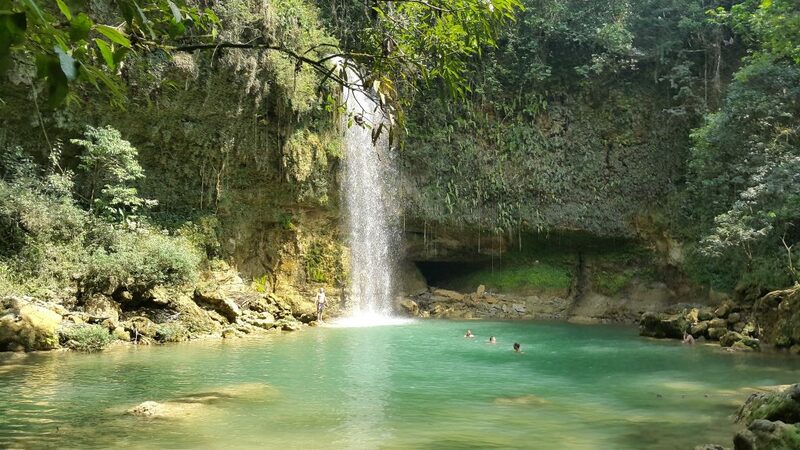 How to get there: This beautiful waterfall is a few kilometers from Bayaguana and about 1.5 hours away from Santo Domingo. It´s just a dirt road so we recommend an SUV. 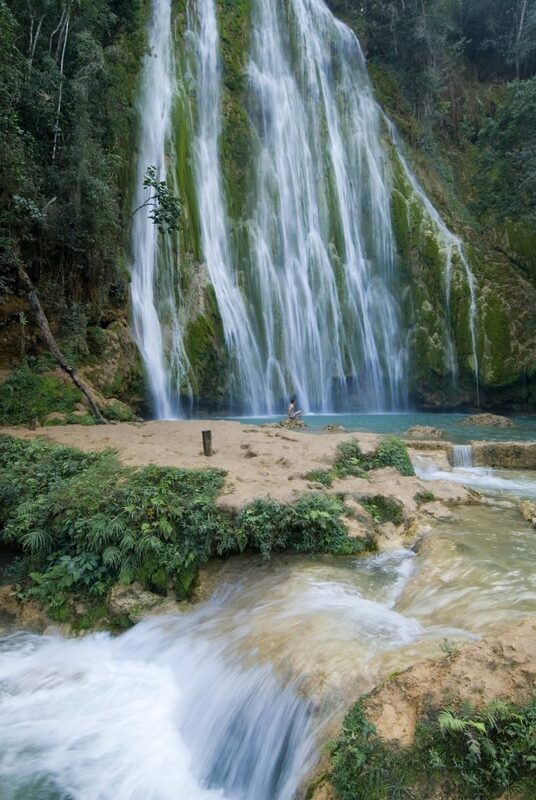 At about 1,680 meters above sea level, it’s one of the highest altitude waterfalls in the Dominican Republic. The plant life is completely different and temperatures can drop dramatically at night (in winter even below 0°). Be warned! Jumping into this waterfall is only for the brave! Salto de Aguas Blancas makes a perfect stopover while exploring the Cordillera Central from Jarabacoa or Constanza. How to get there: The Salto de Aguas Blancas is about 20 kilometers from Constanza in the direction of Valle Nuevo and the pyramid. There are many signs on the road so it’s easy to find. However, we recommend an SUV for visiting this waterfall as it is only a dirt road with many rocks and potholes to navigate. The Waterfalls in the Dominican Republic are the perfect getaway that can be combined with roundtrips or self-driven tours while discovering the Island (For example our Natural Beauty of the Dominican Republic round trip). There are no entry fees and most of them are easy to find while followings the signs on the road. Some Waterfalls require quite a walk to reach them so make sure to take some snacks with you. If you are interested in visiting some of the waterfalls mentioned in this blog post, ask our travel experts for your customized itinerary. 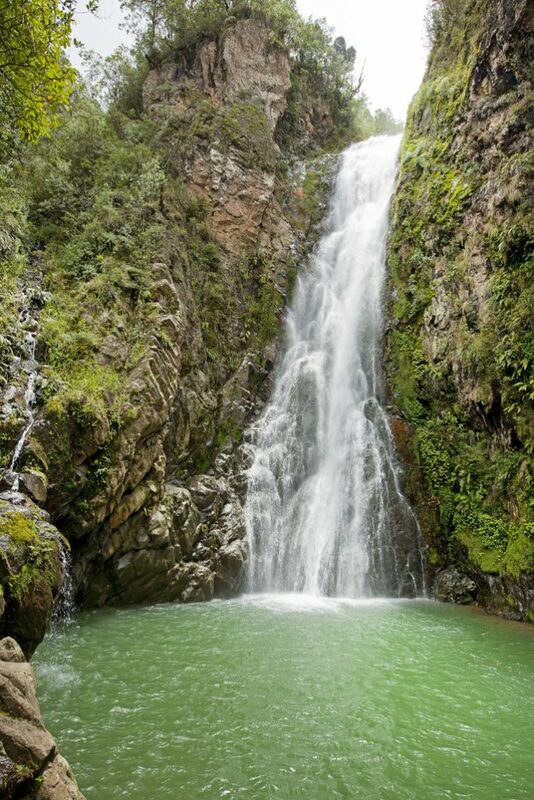 You want to explore some or even all of the top 5 waterfalls of the Dominican Republic? Ask us for your personalized itinerary and get to know the best places of the Caribbean! Hello I will be visiting in May , and I would like to know how far of a drive are any of the waterfall with natural pools from Punta Cana? Can you provide me with any of the car rental place information in punta cana closest to Corte Sea condos ? Thank you. thanks for your comment. I have sent you an email with further information right now. – if you have a rental car (contact us for competetive rates with full insurance) just go to the town of Magua, approx. 1.5 hours drive from Punta Cana. From there it’s an approximately 3 hours hike one-way, depending on your fitness level. We can help with further recommendations. – if you would like to a private transfer, we can help organizing this, incl. a guide and driver. However, this won’t be cheap as it is not a common excursion. Im visiting in May staying at the hardrock resort, how far of a drive is it from the resort to one of these waterfalls? thanks for your comment. Unfortunately, Punta Cana does not have that many waterfalls as it is mostly a plain area. Salto de la Jalda is one of the closest ones (but also one of the toughest), you can find some information in my last comment above. 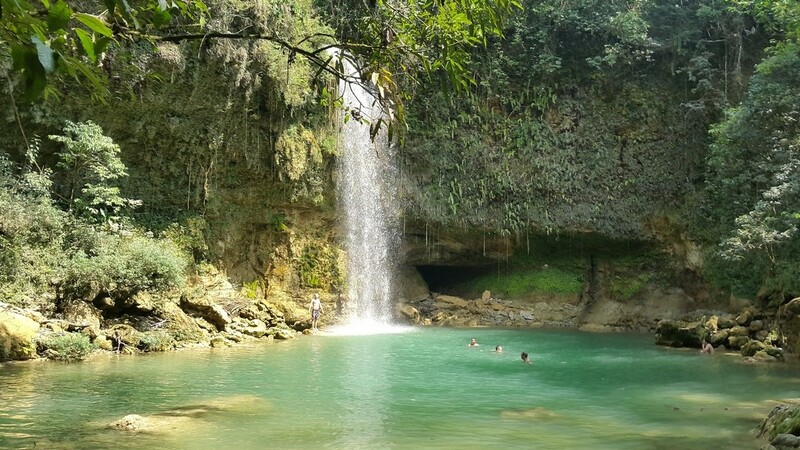 The waterfall mentioned in the blogpost “Salto Alto de Bayaguana” is also reachable within more or less 2 to 2.5 hours from Punta Cana, buy you would need to hire a taxi driver to go there or rent a car. If you need a rental car with full insurance and 0 USD CDW, please let us know. Is getting to Salto Alto de Bayaguana an easy hike or do you need to go by vehicle ? 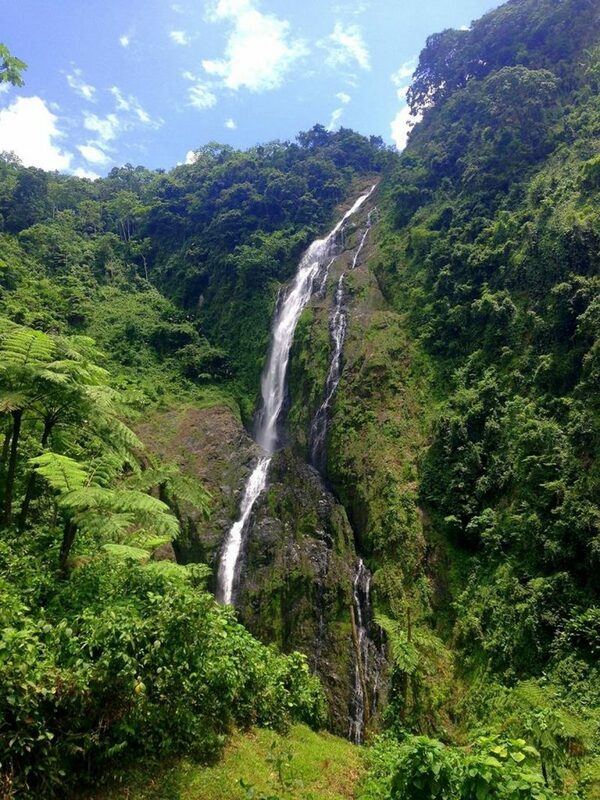 The waterfall of Bayaguana is not that easy to find. The best is, if you either take a GPS or a guide with you. If you have a SUV, you can approach the waterfall quite close, if you just have a regular car, you would have to walk a few kilometers or take a motoconcho. Let us know if you need a car as our rental cars are fully insured with zero deductible.